Everyone already knows about the magic that is dry shampoo. If you’re like me and you only wash your hair 2 times a week to keep your color looking nice, dry shampoo is your best friend! For so long, I couldn’t stop raving about Batiste dry shampoos. Don’t get me wrong…I still love Batiste. For under $10, it’s really great! But now I’ve discovered the wonders of the Living Proof Perfect Hair Day Dry Shampoo! You all know how much I LOVE Living Proof products already. So the other day at Sephora I picked up their travel size dry shampoo at the impulse buys section before the register (this section gets me EVERY. SINGLE. TIME.) I tried it this morning and…YOU GUYS! It is so fabulous! 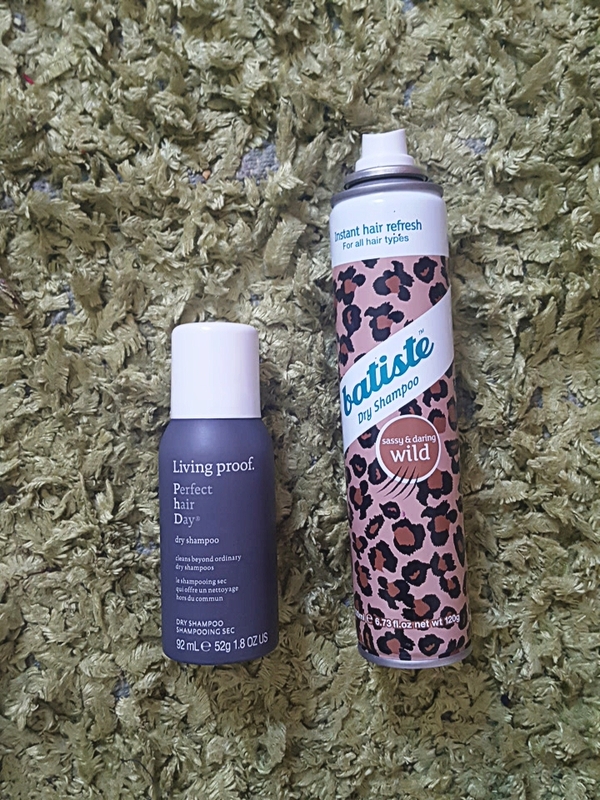 While Batiste has some great scents, Living Proof’s dry shampoo has that clean, fresh just-stepped-out-of-the-salon scent. To me, that smell is heavenly! For under $10, Batiste is pretty good. But it doesn’t always get all the oil and grease out of my hair. So far Living Proof wins that category too: the instant I sprayed it on my head, my hair looked and felt so much cleaner! It is a little pricier for a regular-sized bottle (around $25) but the travel size is around $12. So if you don’t want to spend a lot of money, get the travel size and hopefully it’ll last you a while. Have you tried Bumble & Bumble pret powder? SOOO good and it honestly is worth the price. It last forever too .. unlike most dry shampoos. Just what I needed! I wash my hair every day and it is so dry! I have tried the Drug Store brands, but none I found really worked. For sure going to try the Living Proof. I know what you mean with the White residue but I don’t find it as bad opting for the brunette ones. I’ve been going really cheap and going for Wilko own brand in between buying Batiste! I’ve never tried that one, sounds interesting!